This is a driver release from the Release 260 family of drivers. This driver package supports GeForce 6, 7, 8, 9, 100, 200, 300, and 400-series desktop GPUs as well as ION desktop GPUs. 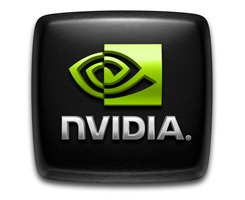 Adds support for the newly released GeForce GTS 450 GPU. Adds support for playing back Blu-ray 3D discs when connecting your GPU to an HDMI 1.4 3D TV. Playback requires compatible software application from CyberLink, ArcSoft, Roxio, or Corel. For more information, NVIDIA Blu-ray 3D website. Adds lossless DTS-HD Master Audio and Dolby TrueHD audio bitstreaming support for compatible Blu-ray movies with GeForce GTX 460 GPUs*. Adds high definition 24-bit, 96 and 192 KHz multi-channel audio sampling rate support for compatible Blu-ray movies with GeForce GTX 400 Series ,GT 240, GT 220 and 210 GPUs*. After first setup, wizard allows users to jump to any setup step. Improved display connection diagrams and tooltips. Improved UI for setup and arrangement of displays. Improved bezel correction setup experience. Option to dedicate an extra GPU to PhysX or to drive an additional display. Allows for portrait or landscape setup directly from the setup wizard. Adds NVIDIA 3D Vision streaming support for Firefox 4 and Google Chrome web browsers. Adds support for Sony’s 3D Sweep Panorama picture format added to NVIDIA 3D Photo Viewer (Sony digital cameras that can capture 3D Sweep Panorama pictures include NEX-5/NEX-3, Alpha a560/a580 and Cyber-shot DSC-WX5/DSC-TX9/DSC-T99 models). TRINE – new profiles fixes that allow the game to be rated “3D Vision-Ready” when used with the TRINE patch v1.08, available via Steam. Improves compatibility for older PC games (DirectX 7 to DirectX 9) running on Windows 7 (examples: Gothic, Gothic II, Falcon 4.0: Allied Force, Links 2003, Independence War II - Edge of Chaos, and X2: Wolverine's Revenge). Adds drag and drop display arrangement support to the “Set up multiple displays” page.